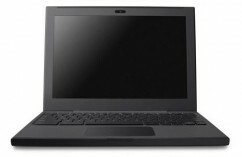 Home » Tech » The Google Cr-48 Is The First Chrome OS Based ‘Cloud Computing Laptop’ – Is This The Future? 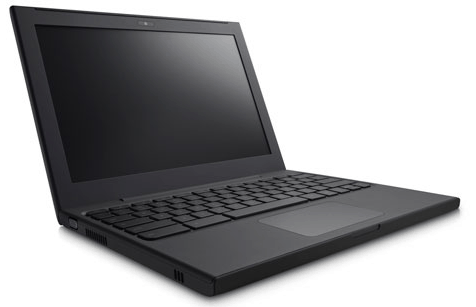 The Google Cr-48 Is The First Chrome OS Based ‘Cloud Computing Laptop’ – Is This The Future? We’ve already seen Google’s Chrome OS in full detail tonight, alongside the newly released Web Store, but what is all this going to run on? Ladies and gentlemen, I present to you the Cr-48: Google’s first Chrome OS laptop coming to a select few who are lucky enough to participate in the “pilot program” being offered by Google. The laptop is completely unbranded with a simple black exterior that looks absolutely awesome to me, with a keyboard specifically designed for Chrome OS complete with a dedicated search button. Overall, it looks pretty unwelcoming to the average end-user, but this is by design on Google’s part. The machine isn’t designed to be consumed by thousands of consumers, it’s designed more like a ‘beta’ machine, testing out Chrome OS on a mass scale with the help of developers and users. Taking a closer look at the specs of the Cr-48, you’re looking at a 12.1″ display, a full size keyboard, built-in 3G capabilities so that you can always stay connected when you’re out and about (this is a cloud-based OS we’re talking about, after all), a built-in webcam on the screen and flash storage for quick booting and access to functions within the OS. You won’t find an optical drive on this puppy, although that’s absolutely fine by me. Again, the Cr-48 is available only to participants in Google’s pilot program, which you can register for here if you’re a US resident over 18. Few people will be selected from all the entrants, however, so don’t get your hopes up too much. This Chrome OS revolution is starting to look pretty good, don’t you think? With this kind of commitment to complete cloud computing, Google could be on to something pretty big here, so watch this space! Google Chrome OS Features Finally Announced! Is A Full Cloud Computing Experience Viable?